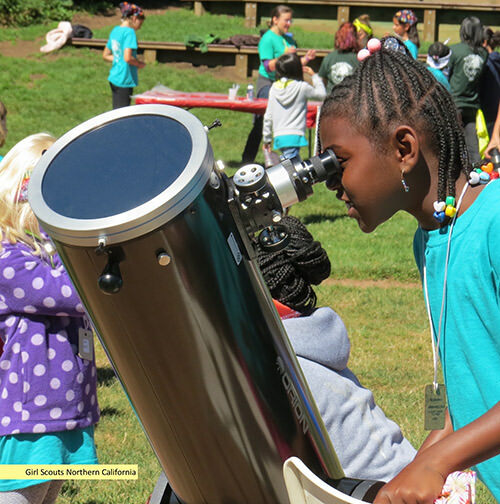 The Girl Scouts of the USA recently released new Space Science Badges for Girl Scout Daisies (Grades K-1), Brownies (Grades 2-3), and Juniors (Grade 4-5) with badges for grades 6-12 scheduled for release in Fall 2019. Each badge has a step encouraging troops to connect with their local astronomy club--and that’s you! 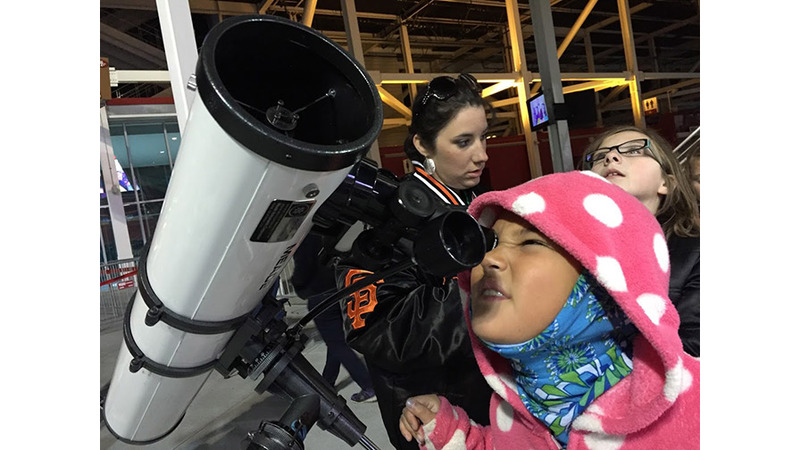 These badges offer a sampling of space science activities for girls; appetizers to encourage their interest in astronomy. To earn the badge, Daisies (scouts in kindergarten and first grade) complete three steps which offer two activity choices per step. Girls in second grade and beyond complete five steps to earn their badge, with each step offering three activity choices. These choices keep the badges girl led, which is a one of the three Girl Scout processes designed by the Girl Scout Research Institute, along with cooperative learning, and learning by doing. As a bonus, NSN member clubs that regularly log their events will receive copies of the new badge booklets for the space science badging programs as they become available! And thanks for all you do to keep astronomy inclusive and inspiring for all!